I’m a neuroscientist and in the course of some of my work reading, I’ve been reading and thinking more about the brain development and critical periods, and how this relates to child cognitive development. It’s known that the first few years of a child’s life are critical for proper brain development and there is some interesting work being done on the impact of social influences on early cognitive development. Good parenting, and a loving nurturing environment are known to be critical for a child’s development. There’s data to show that the care a child receives during this first critical period has a strong influence on who that little one will grow up to be, even beyond childhood. Less clear has been what’s going on in the brain that mediates these effects. How is it that experiences in this early window of life last for so long? What’s going on in a child’s brain during this period? I recently saw an interesting episode of the Charlie Rose Show this week on the neuroscience of parenting which addressed this topic. A brief divergence before saying more about this topic— I am a big Charlie Rose fan. I just love this show. He has great guests and is really a thoughtful interviewer on a wide array of topics. Charlie Rose has an ongoing series on the brain which brings together leading neuroscientists (many of whom I know well from working on Neuron) to discuss current research in neuroscience. Eric Kandel (by the way, I’m proud to say one of Neuron’s editorial Nobel prize winning ed board members!) hosts the show with Charlie Rose. It’s pretty cool to see people you know and admire on Charlie Rose but more so, I think the show does a great job of discussing the science at a pretty high but still accessible level. Being a science nerd, I just love this stuff!! I know, you would think that I’d have enough neuroscience from work and would spend my off hours watching more mindless TV (I do that too, don’t worry! Just get me going about the latest episode of Scandal!). 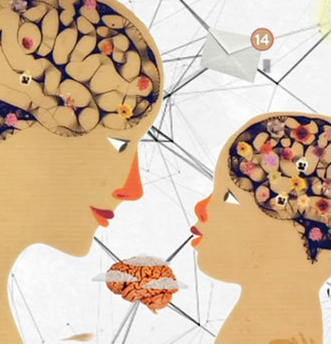 I was especially struck by the work on the brain circuits and mechanisms that control parental bonding. It turns out that parental bonding behavior is both hard-wired in the brain and also under powerful hormonal influences. We now understand that there are particular parts of the brain and particular neuropeptides in the brain that drive bonding behavior. It’s thought that post-partum depression, which often comes with a feeling of not being able to bond with one’s baby, might have something to do with abnormal fluctuations of these hormones. I started thinking about this from the perspective of adoption and especially from a birth mother’s perspective. Bonding with your baby and loving your baby is neurally and hormonally hardwired. Your heart and your head are working together. And yet, for a birth mom, she really needs to step outside of her own biology and her own feelings and make a really, really hard decision of what is ultimately best for her child, not just for now but for an entire lifetime. Not being in that situation myself, I can’t imagine how it feels to be faced making such a difficult decision, while confronting strong emotions, surging pregnancy hormones and a naturally growing bond with the baby you are carrying. I do know that taking the steps to do best by ones child, setting aside one’s own interests and feelings (and biology! ), shows an awe-inspiring level of fortitude, bravery and selflessness.